Why Training Makes a Difference! 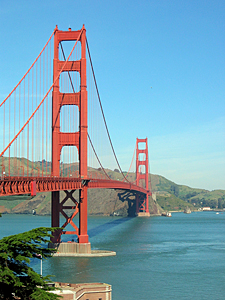 I just wanted to send you a reminder that the ChARM EHR User Conference and Training event is scheduled for August 16 & 17th in beautiful Pleasanton, CA - a convenient 30 min BART train ride to San Francisco. Here's what one user had to say about our last conference. "I attended the last user conference offered by ChARM. A staff physician for our clinic also joined. As newer users to ChARM at the time, we had a very powerful experience. The team broke down training into sections, and then allowed ample time for review after. I came back to the clinic with a great "tool kit" to finish training the rest of my staff. We have a large and extremely busy team that is constantly growing, so learning the system inside and out from the conference has made a significant difference on our productivity. I can train new staff more efficiently now. I am so thankful for the ChARM team, and the time they offered to trouble shoot my difficulties. Attend the conference, it's worth it!" The event will be filled with information for beginners and advanced users alike. We will cover information about our new updates, as well as tips to utilize the system better and make your practice more efficient. We will cover the latest additions including Meaningful Use Stage 2, and the new RCM Service for Billing and Claims management. We will include 1:1 training on your practice account to tailor ChARM to your practice' specific needs.